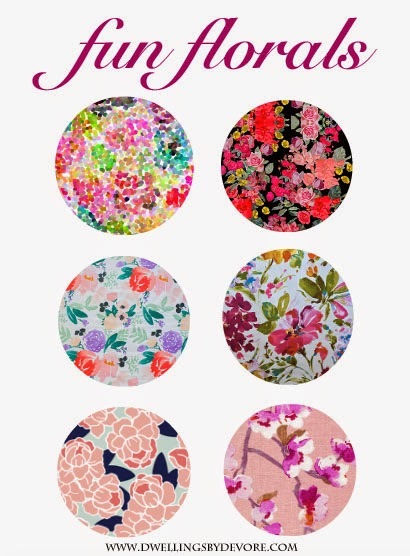 Just popping in today to share a few of my favorite floral fabrics. Florals are definitely popular these days, although I've always had a love for them. I think they are so feminine and sweet and I love that about them. Here's a few of my favorites from around the web. Also, have you been keeping up with the Blogger Stylin' Home Tours Spring Edition? 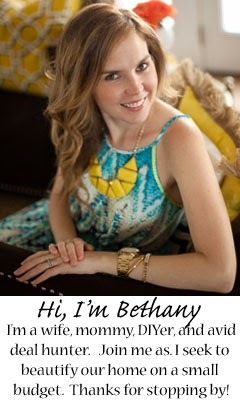 Some super talented bloggers are giving us a peek into their homes all freshened up for spring. If you want to catch up on them, start here and work your way through them. They'll be going on all week and I'm up tomorrow! So come back and see how we've changed up a few things for spring! I'm so into bright florals right now and I LOVE these choices! !